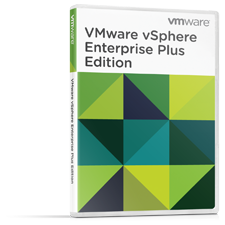 VMware vSphere Enterprise Plus includes the full range of vSphere features for transforming datacenters into dramatically simplified cloud computing environments providing the next generation of flexible, reliable IT services. VMware Fusion Pro takes virtualization on the Mac to the next level with enhanced new features designed for advanced users, developers and IT admins. With leading edge new desktop virtualization features and added cloud capabilities, VMware Fusion Pro delivers more powerful virtual machines, superior performance and enhanced usability. 18 months e-mail support (in English) after registration.